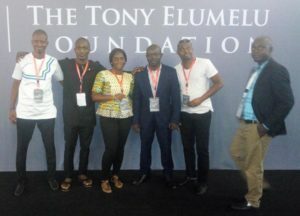 Sierra Leonean entrepreneurs who benefited from the 2018 Tony Elumelu Foundation Entrepreneurship programme have expressed gratitude to the initiative and promised to put to good use the training to achieve the aim and objective of the initiative founder. The Foundation was formed based on Tony Elumelu’s belief that, with the right support, entrepreneurs can be empowered to contribute meaningfully to Africa’s prosperity and social development. The Foundation’s main philosophy is based on the founder’s desire to empower a generation of successful for-profit entrepreneurs who enable economic development across Africa. The Foundation is intent on charting a new course for African philanthropy and does not operate merely as a grant-awarding organization, being a pioneer member of the Global Impact Investment Rating System (GIIRS). As a primary driver of Africapitalism, the Foundation is committed to the economic transformation of Africa by enhancing the competitiveness and growth of the African private sector, through a push for entrepreneurship. Through its programme and activities, TEF seeks to empower African entrepreneurs to “institutionalise luck” and create an environment where entrepreneurship can flourish in a sustained manner. Speaking in an exclusive interview to this medium at the TEF 2018 Forum at Palace Hotel and Casino Auditorium on Victoria Island, Lagos, one of the Sierra Leonean beneficiaries, Sahr Emmanuel Joseph, who is into waste management, said he was very grateful to be selected to be part of the fellow of the 2018 Tony Elumelu Entrepreneurship programme. According to him, it was like a dream come true and that because he was into waste management by collecting used plastics and processing them into paving bricks, and also generates gas from waste, he saw the need to apply for TEF when he heard about it sometimes in 2017. He said he was most grateful for the 12-week online business plan development training and mentoring programme which he said would help me in the future to manage and expand his business. Mary Kadie Lokoh, the only female Sierra Leonean TEF 2018 Fellow, who is into agri-business and farming, opined that agriculture was critical to transformation in Sierra Leone and Africa as whole. According to her, she has been following her dream of becoming a great farmer in her life and that being selected among hundreds of thousands of applicants for TEF was a great step of her dream to come to fruition. She applauded the TEF initiative for their step of transforming the Africa continent by creating thousands of entrepreneurs who will in return create jobs in their various environments. “I want to use this opportunity to call on my fellow young female Sierra Leoneans that long gone the days when women are seen as kitchen materials, it is time to tell the world they we can contribute equally to national development just like the men,” she said. Ms. Lokoh called on young women in Sierra Leone with good business ideas to apply for the TEF and go through the 12 weeks training and mentoring that will help them run their businesses efficiently. Mohamed Barrie, a 2018 TEF Fellow, who is into fashion, called on Sierra Leonean youth to apply for the 2019 TEF and help the founder address myriad problems in the African continent. He said that prior to now he grappled with serious challenges in the fashion industry, but the 12 weeks training and mentoring he received from TEF would help him achieve his dream. Also speaking, Managing Director and Chief Executive Officer of the United Bank for Africa in Sierra Leone, Chinadu Obeta said TEF was a very good initiative and one of the initiatives of the Chairman of UBA PLC Tony Elumelu. “Africa has a lot of challenges, including the lack of entrepreneurs and skills; these are some of the challenges the initiative is seeking to address, mind you nobody will develop Africa except Africans,” he said. Obeta asserted that the initiative would help identify young Africans with good business initiative, empower and use them to create more jobs across Africa. It could be recalled that in 2018 six Sierra Leoneans – Al-Imam Mustapha Sanusi, who is engaged in agri-business farming; Fadja Djiou Barry, commercial and retail; Martin Kallie, energy/power generation; Mary Kadie Lokoh, agri-business farming; Mohamed Barrie, fashion; and Sahr Emmanuel Joseph, waste management, were selected to benefit from 2018 TEF.